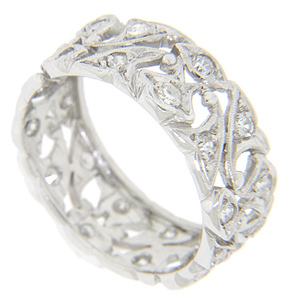 Floral designs set with diamonds span the circumference of this platinum antique style wedding band. The wedding ring measures 7.7mm in width. Size: 7 1/4. Cannot be re-sized.